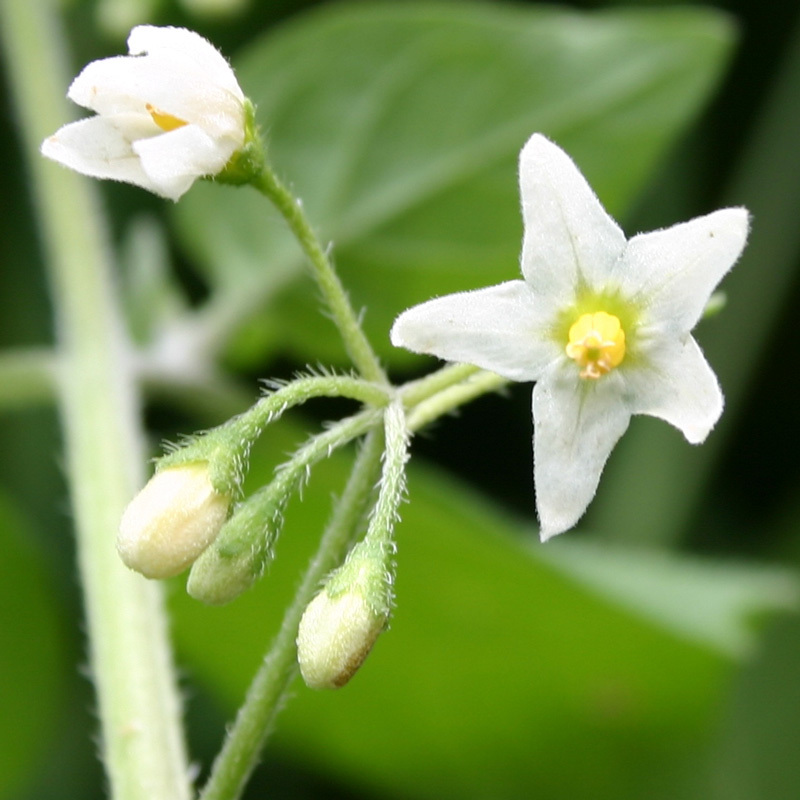 Black nightshade is often confused with, and sometimes called ‘deadly nightshade’. 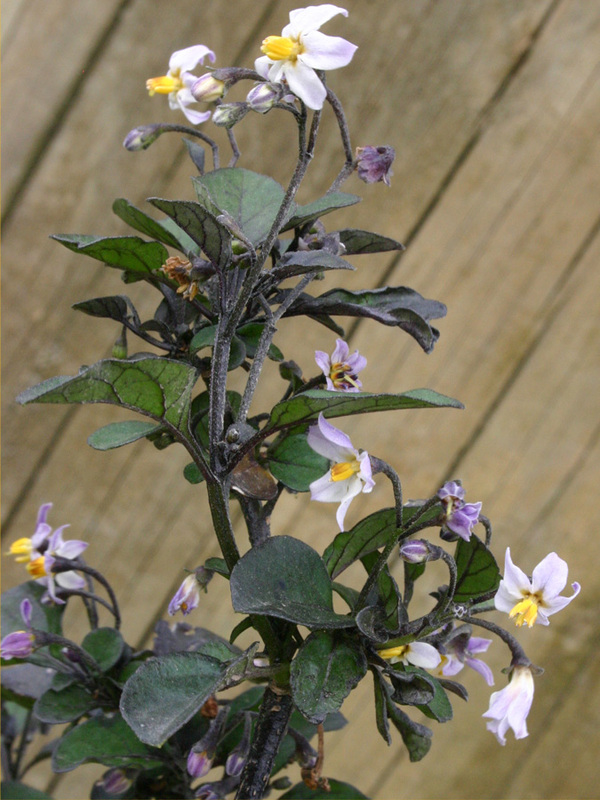 However, deadly nightshade (Atropa bella-donna) is very rare in New Zealand. 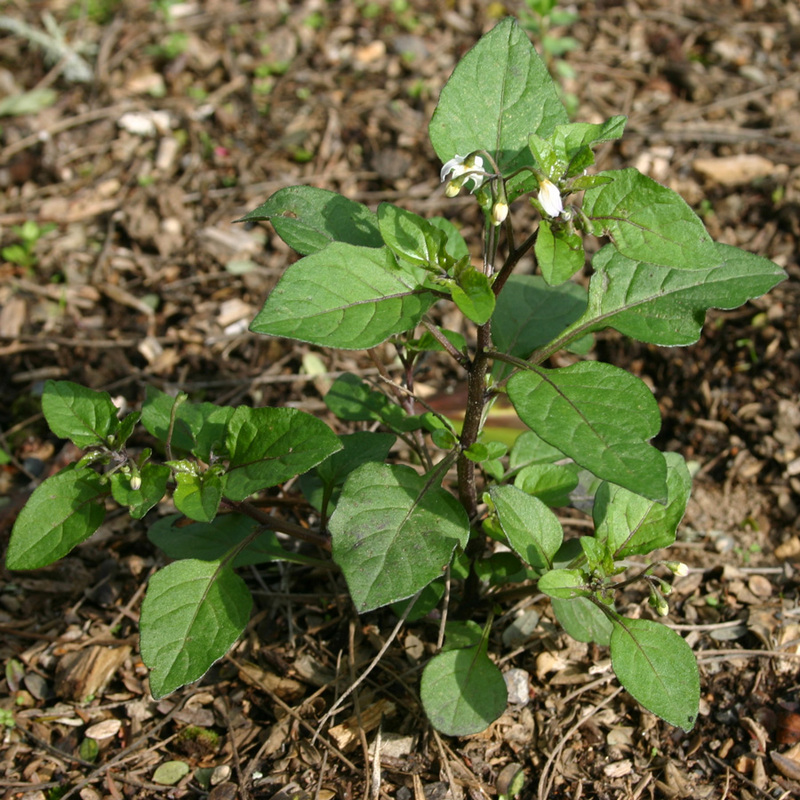 Black nightshade is the plant most often referred to New Zealand’s National Poisons Information Centre. 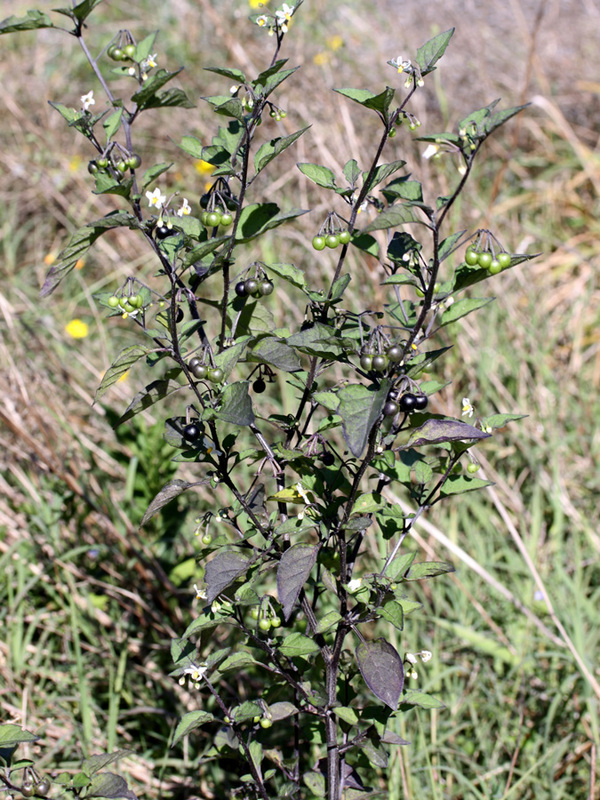 (see the article https://www.nzma.org.nz/journal/read-the-journal/all-issues/2010-2019/2012/vol-125-no-1367/article-slaughter ).It states “Black nightshade is not highly toxic and small accidental ingestions of a few berries or leaves rarely leads to symptoms. Toxicity would only be expected following ingestion of large amounts of unripe berries or other plant matter.” However, children should be advised not to eat the green unripe berries which are more poisonous than ripe black ones. 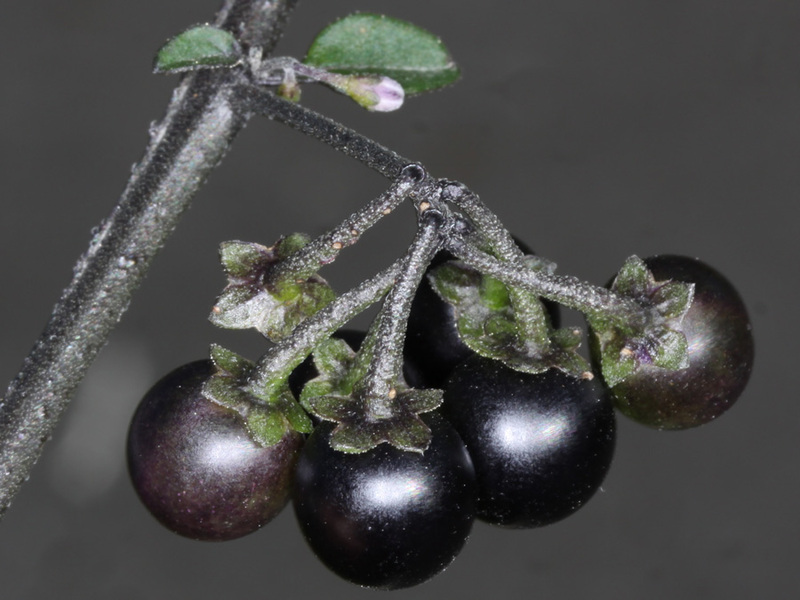 The native small-flowered nightshade (Solanum nodiflorum) has glossy black berries with a strongly reflexed (bent backwards) calyx. Smaller flowers, 5-8 mm across, are arranged on short stems, all originating from the same point (umbel-like). Found in forest, scrub and plantations, especially in coastal sites in the north of the North and South Islands, and in the Kermadecs. 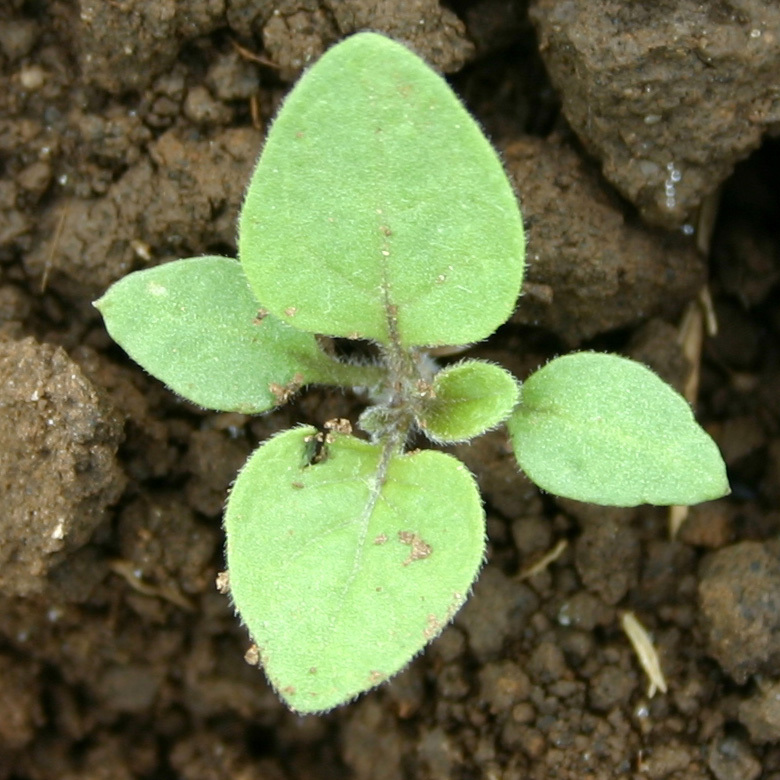 Plants are killed by frosts, so late-germinating plants may be killed before they can set seed. Both the leaves and fruits have been used as food in some countries. Note that only fully ripe fruit should be used as under-ripe berries may be toxic. Commonly found in open places, especially on arable land, in waste places, dry river beds and roadsides. Especially common in frequently disturbed areas. Can harbour insects and diseases that affect crops. Hand weeding is effective but needs to be repeated, preferably before the plants set seed. Individual plants can be pulled out readily when young but become much harder to dislodge after branching starts. If triazine herbicides like simazine are regularly used in situations such as orchards, then black nightshade can develop resistance to such herbicides. If such resistance does develop, black nightshade can be killed in peas with herbicides like MCPB and bentazone, or in maize, dicamba is effective. Harrington KC, 2016. Black nightshade. Weeds Database, Massey University. (accessed 8 September 2016). Only moderately toxic and the ripe black berries, which are similar to black currants, are scarcely or not poisonous at all. 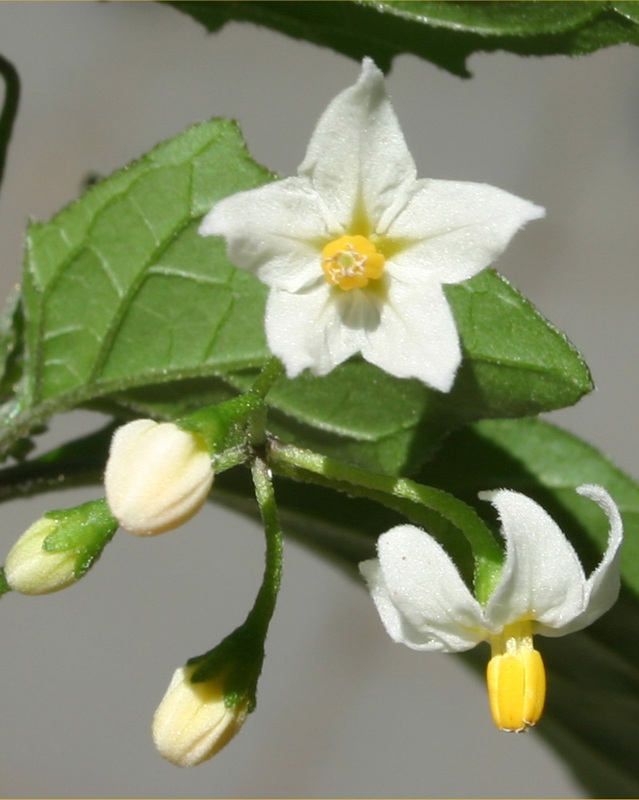 Note: this is the plant most people mistakenly call deadly nightshade. The true deadly nightshade (Atropa bella-donna) can live up to its common name, but is fortunately very rare and only recorded in Christchurch.